Just starting a new thread for the last Crossfire. I'm sure there will be a lot Â to say now that CBY is released. There seems to be a new publisher for One With You. Â Maybe the release interval between CBY and OWY will be shorter then between EWY and CBY. Is there a new publisher? The page in CBY announcing the new book still says Penguin. I doubt there will be a long gap as I understood 4 and 5 were being written pretty much together, that the gap between would not be too long - and on Good Reads in answer to a question a six month gap was mentioned (although we can't, of course, assume that is a definite time). My ebook in Apple iBooks says "Coming soon from Berkley Books!" Looks likeÂ Berkley Books is a division of Penguin. Thanks for the clarification but now I am not as optimistic about a speedy release for One With You. I am desperate for their HEA! Interests:Reading, writing, dancing, arts and cooking! All kind of music! I do so hope the final book is bigger than book 4! Sylvia has to tackle so many topic which are not solved. And I want the wedding and and epiloque .. best three to four years where we see they have it good together and when Eva finds out she is pregnant ..
if wishes were coming true I would like 7-8 books.....but about 30 chapters in OWY would be good. It is hard to get years of pent up feelings healed/fixed in a matter of weeks. I wish Gideon & Eva would have their own family one day, and I think it would do G good. First of all they will have to stabilize their relationship, enjoy eachother (ideally for a few years), and last but not least they both have a lot to work out (especially Gideon) with Dr.P before they are ready to take care of a child. If Eva gets pregnant, I think they will handle it, but I wish they would enjoy eachother for a while first. Totally agree with this Ann; I would love to read about that chapter of their life but it's just too soon... Maybe when Gideon is 30 to 32 yo and Eva will be 26 to 28 yo the perfect age... I agree with you that they should enjoy each other with nothing to distract them like the petty jealousies of others...I envision them with their 2 young children at the beach house and after they put the kids to bed Gideon has his way with Eva on the deck...LOL!! Question because as many times as I've read the books... Angus asked Eva if Chris believed Gideon. He knew all along? Gideon always thought Chris Snr knew that Gideon had been abused as Gideon had overheard a conversation between his mother and Chris at dinner when Gideon lived at home. But as it turns out from the scenes in CBY, Chris did not know about Gideon's abuse so whatever Gideon overheard was not about himself. Angus must know about the abuse and probably had something to do with helping Gideon escape from it, hopefully we learn more about this in the last book. For Gideon it cannot have been easy to realise that he turned to the wrong parent to rescue him from the abuse. Most children would turn to their mothers, and as Chris is Gideon's step-father it would probably never have occurred to Gideon to approach Chris about what was happening to him, after all you expect your natural parent to listen to you and believe you - for Gideon this was all made worse because those who were asked to check him out chose to lie and say there was no evidence of abuse - there must have been. It also probably did not help Gideon that he had anger problems, and still has. In CBY after he had seen Eva arrive to meet Brett (in San Diego, prior to the hotel room scene) his thoughts are "I was still tense and aggravated, spoiling for a fight." The Crossfire four book box set is due out (in Australia) at the end of this month.....ready for Valentine's Day and The Fifty Shades Movie. It seems unlikely that one would release a four book set followed closely by the fifth book. So my guess is that One With You will not be published for another 6 months. When will One with You (Crossfire #5) release? Sylvia is presently working with her publishers to set a release date for One with You, the final book in the CrossfireÃ‚Â® series, keeping in mind that some international territories havenÃ¢â‚¬â„¢t yet released Captivated by You. She hopes to announce a date soon! I wonder how big a market there is to buy a 4 book box set when most people will already have purchased the individual books - also the release date of the e-book of the four on both Amazon and iTunes has been changed from (in the UK, not sure about US) 27 January to 13 January. Again I can't see that many will buy this as anyone wanting the books in one e-book volume would surely wait until all 5 are available?? After EWY the title of CBY was listed on online bookstores here in Norway, and that it was expected to be published 2014. 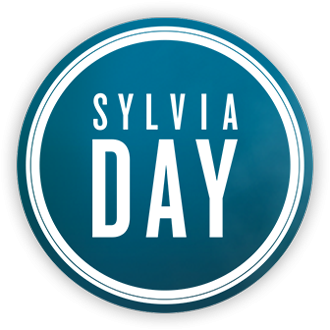 Just before summer 2014 it was announced to be released in August, and in August the date got changed frequently until Sylvia confirmed the date at her website. I agree with you D500, I don't get the point of a box with 4 books, when there soon will be a box of the complete series. Tonight Sylvia posted on Facebook some photos of her filming interviews with Penguin which we are to watch out for in February - fingers crossed they are teasers for this book.